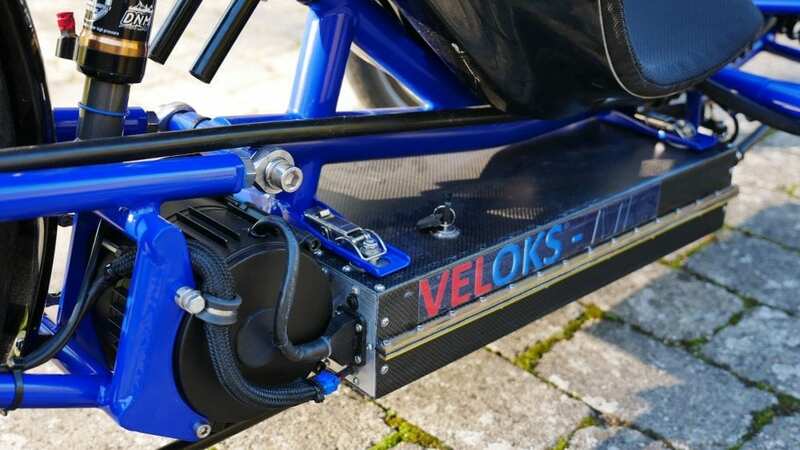 Version 3 (MK3) of VELOKS’s full suspension electric Trike with extreme range (up to 800km range with 5.0 kWh battery). 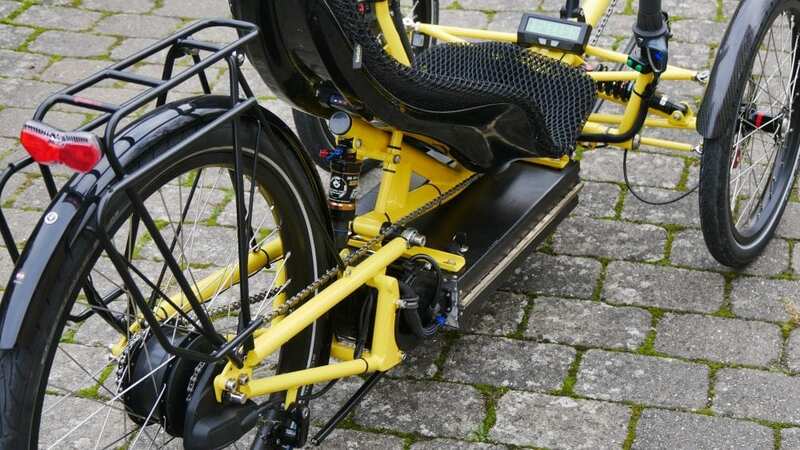 Motor will assist up to 25 km/h using a torque sensor measuring rider pedaling effort. 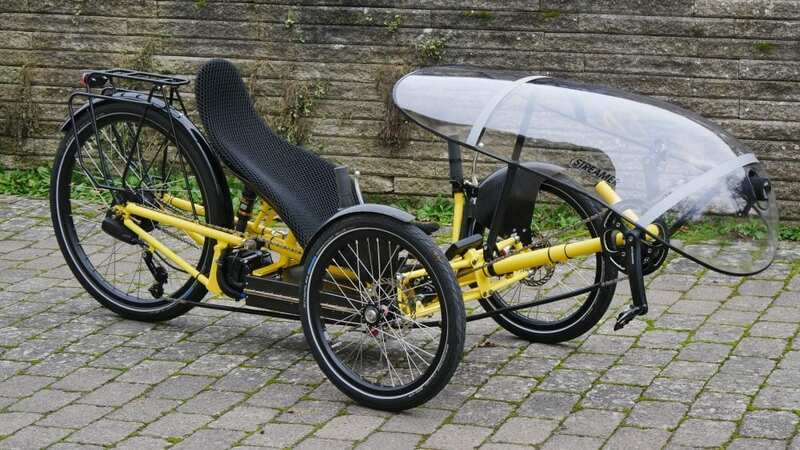 Ideal for daily transport, touring and fun. Delivery time depends on demand. 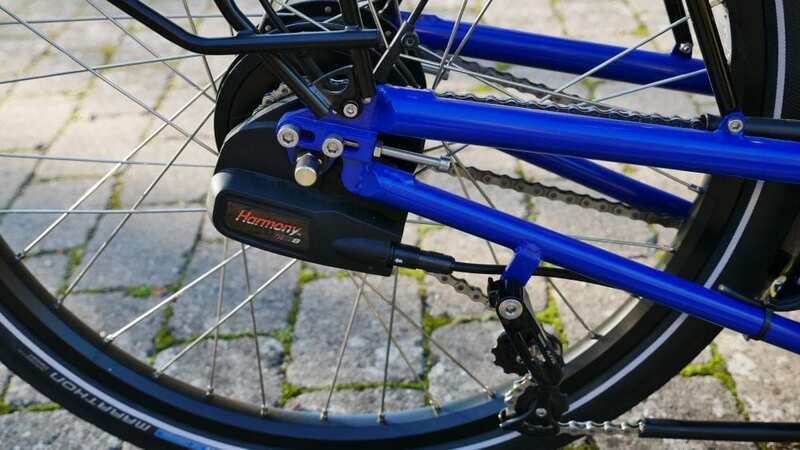 Base price includes SRAM NX 11 speed (11-42) Chain gears, 8A charger, 1.5 kWh battery (up to 250 km range) and a 250w motor. Weight: from 41 kg. 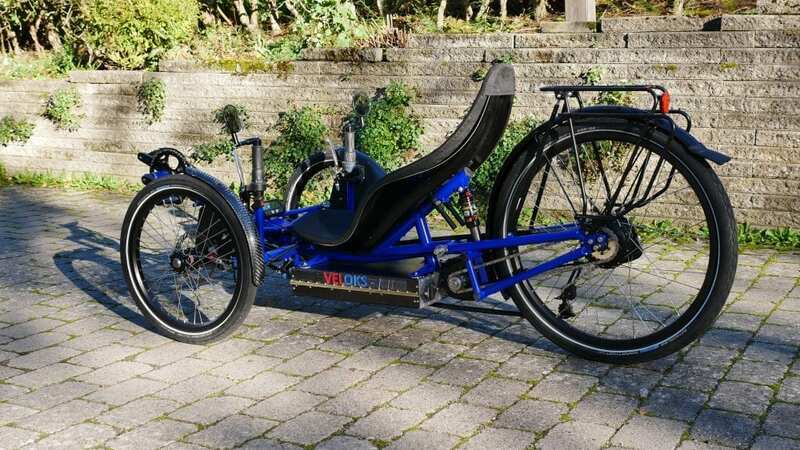 The VELOKS MK3 Trike is now ready and available. 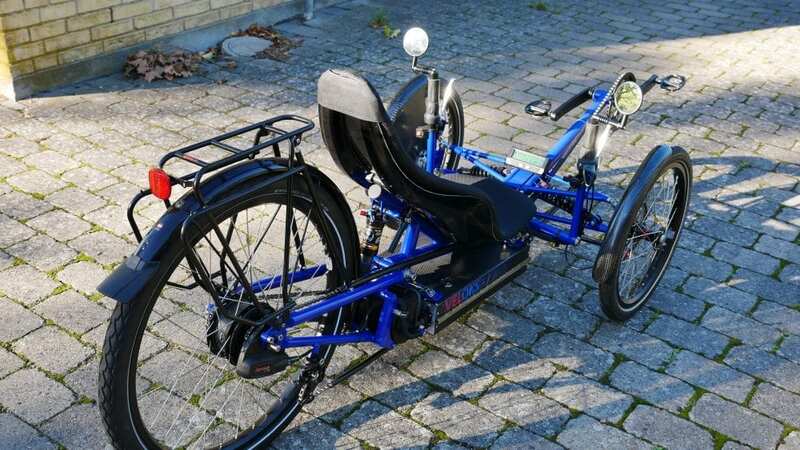 Test drives are possible at the company address in Denmark. Please announce arrival 1 day prior. 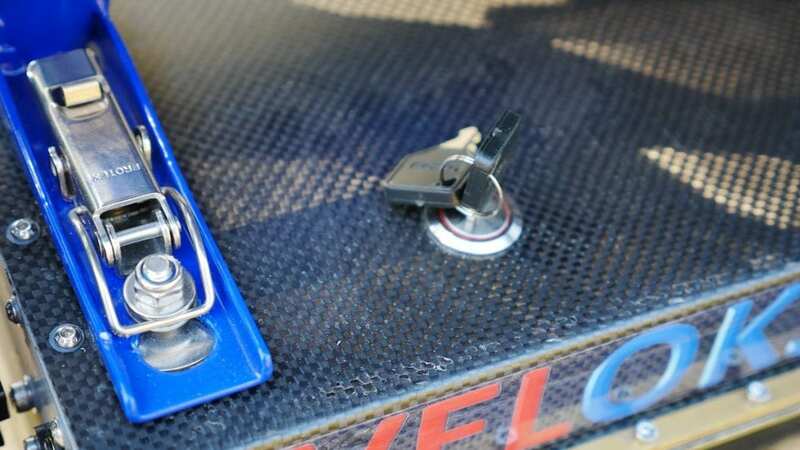 The 3rd generation design (MK3) is based upon experience of driving more than 15.000 km. 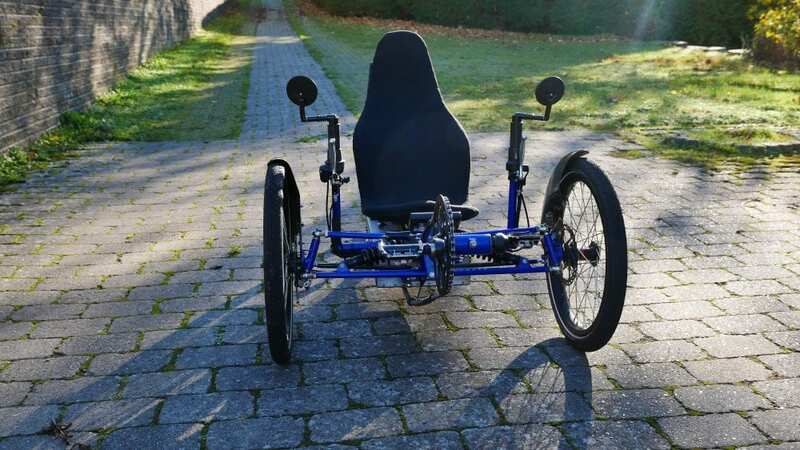 The reclined seat, the suspension on all wheels, the three wheels and the motor support, makes riding comfortable, easy and safe. 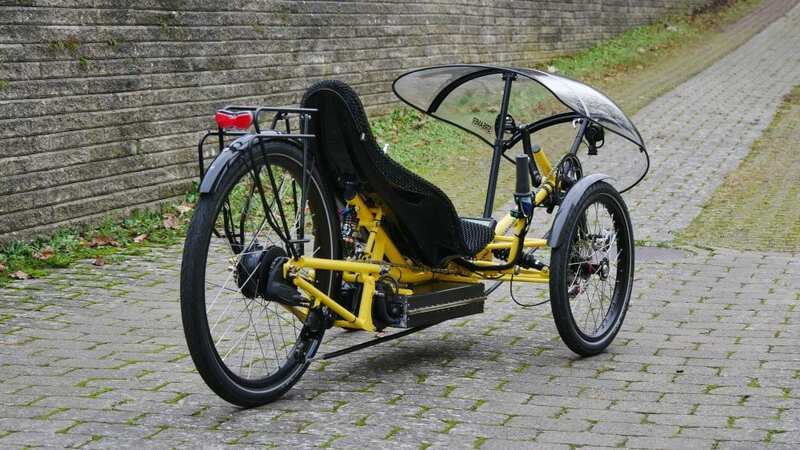 The Trike is designed bottom up for electric drive, and support long distance rides in any weather on any road. 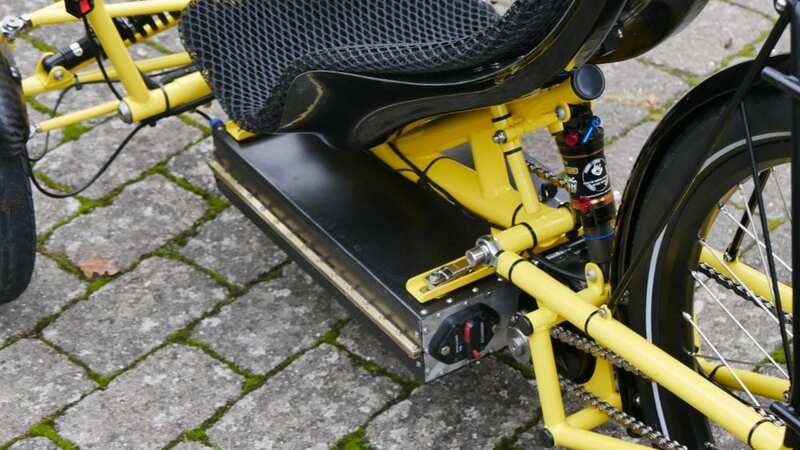 If you need more than 250w of power and want to drive faster than 25 km/h, then you can upgrade the motor and the motor controller. Choose motor drive principle. 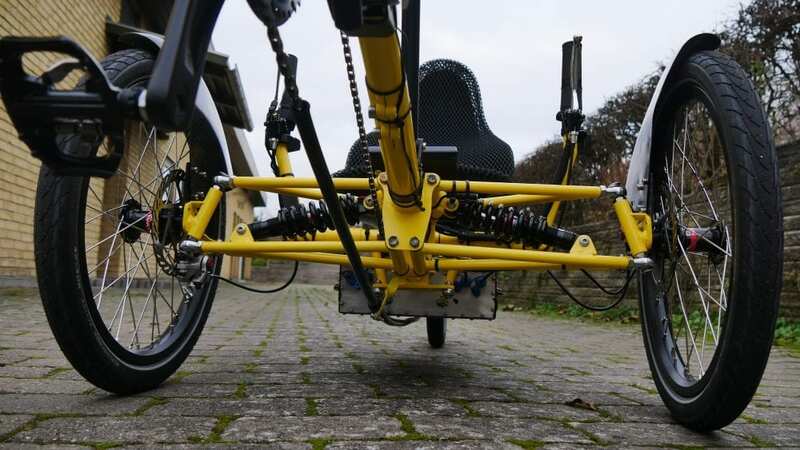 “Motor Freewheel” allows you to pedal without the motor turning. 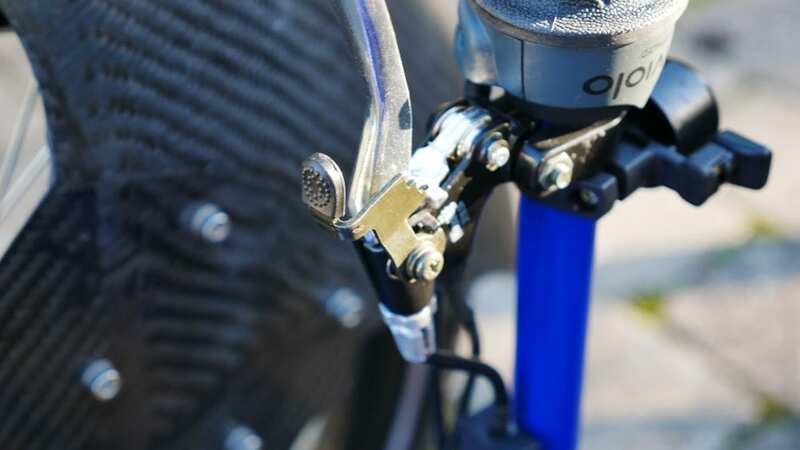 “Variable Motor e-brake” uses an extra left brake lever to control the regeneration of energy / e-braking (0-1500w). 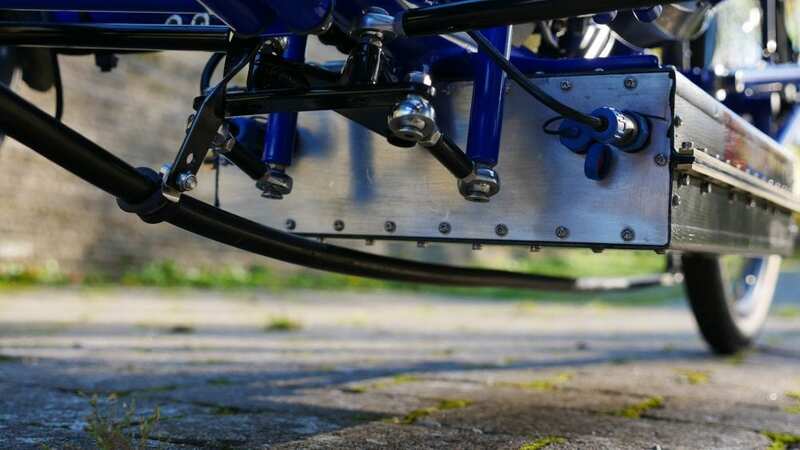 Optional mudguards carbon fiber for front wheels. 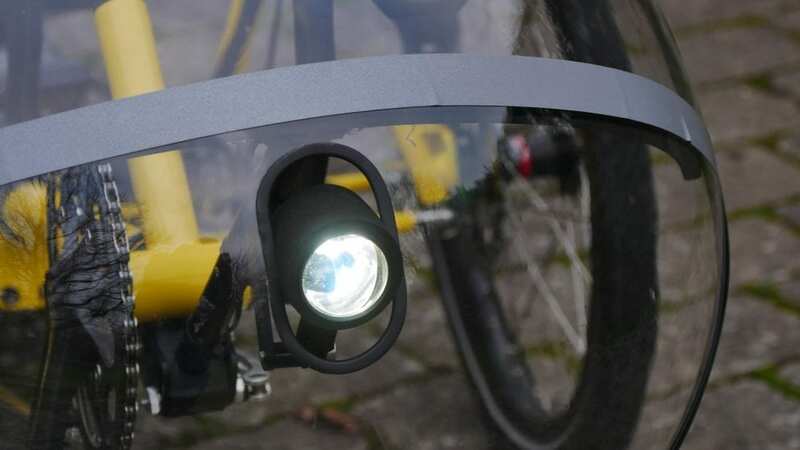 the Mudguards are 1/4 of a circle, closed on the inside, and open on the outside. 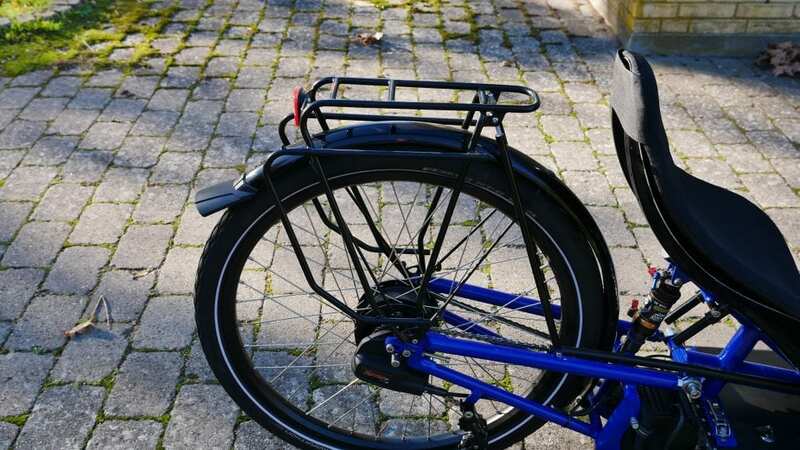 Optional luggage rack is fixed and will carry max. 45 kg. 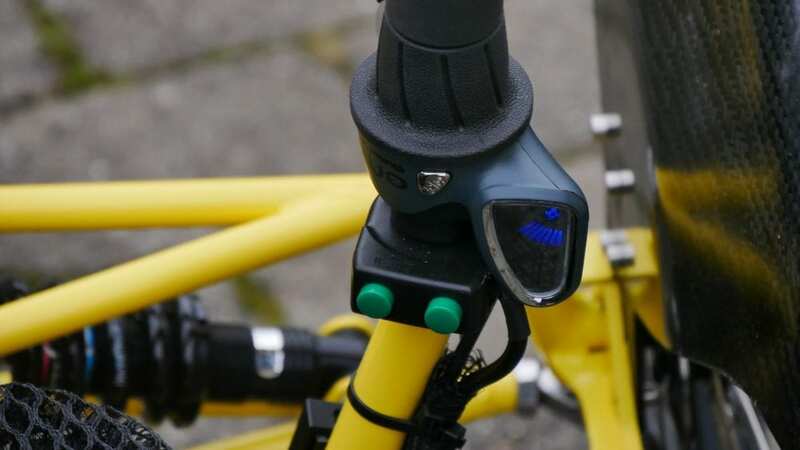 Optional real-time GPS alarm tracker, will generate an alarm (SMS and/or phone call) is armed and the trikes is moved or driven. 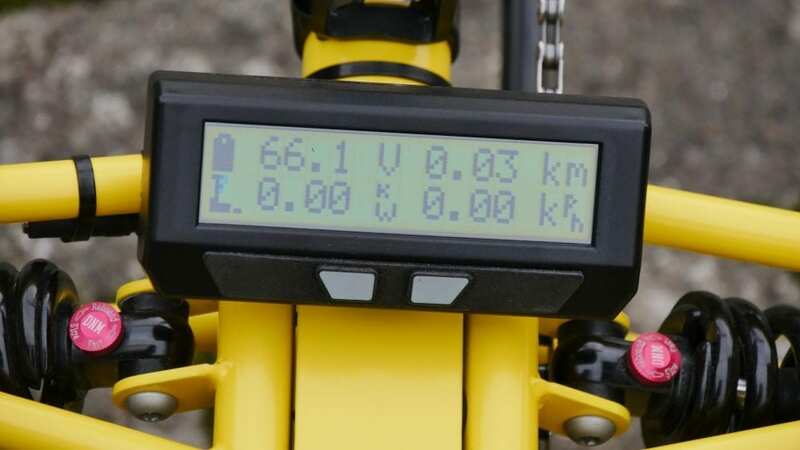 Monitor speed, location, battery voltage, ignition station. 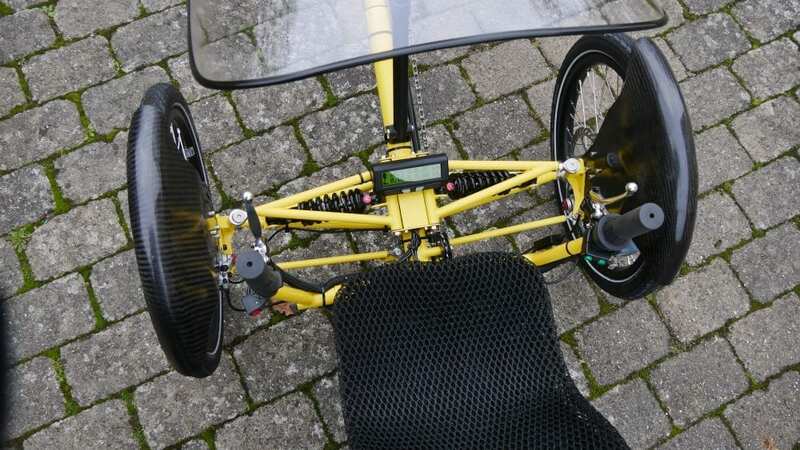 Works with an android / IOS app or webpage, and allows you to trace the trike in real time (fee 4 Euro/Month). Requires a 3G SIM card with data and SMS support., and require 12V DC Output option selected. Optional streamer. Reduces wind resistance, cold feet and front rain. 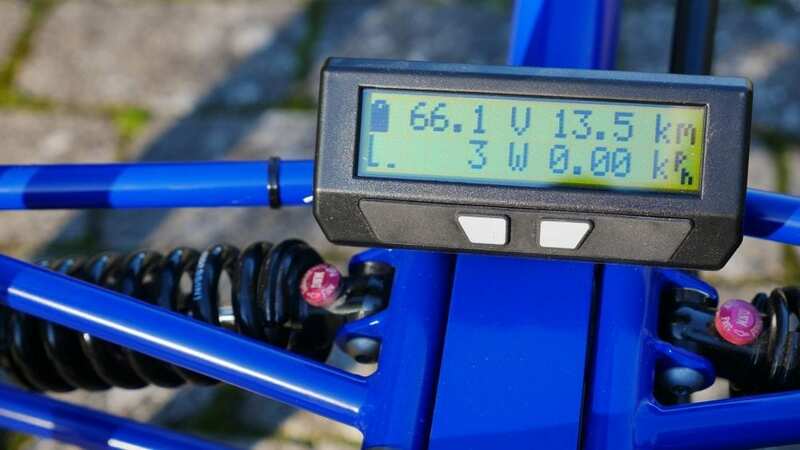 The above driving modes can be configured according to your requirements, but the maximum power and maximum speed cannot exceed the maximum power (250w, 1000w & 3000w) and maximum speed (25 km/h, 40 km/h and 60 km/h) you selected when ordering the trike. 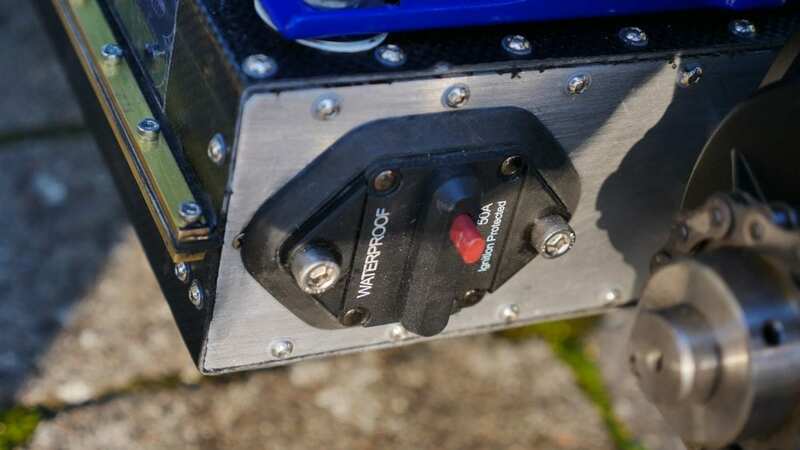 Wind moderate, terrain only smaller hills up to 80 meters. Approx. 10 stops. Rider 178 CM and 90 KG, moderate effort pedaling (50 – 70 rpm). Speed avg. 24,3 km/t. Battery fully charged 2 kWh. 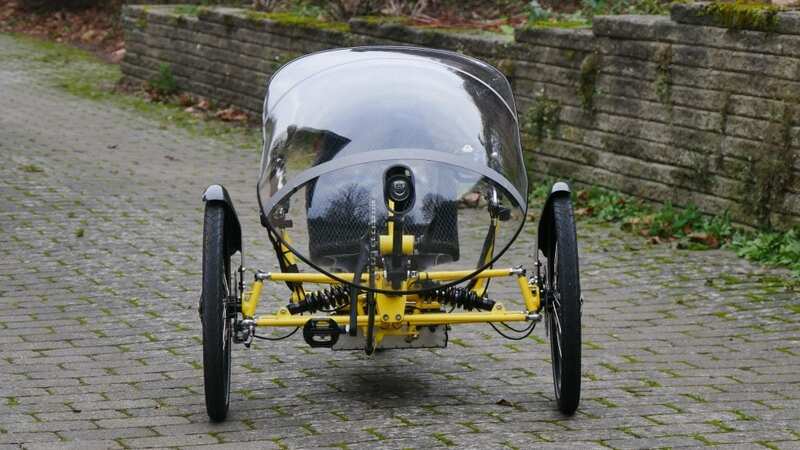 Mode: legal (max 250 w, 25 km/t assist). Wind moderate, terrain only smaller hills up to 80 meters. Approx. 5 stops. 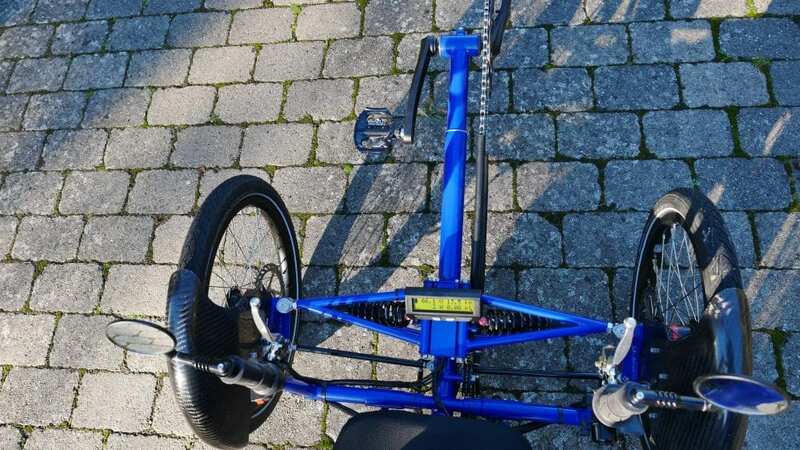 Rider 178 CM and 90 KG, moderate effort pedaling (50 – 70 rpm). Speed avg. 27,4 km/t. Battery fully charged 2 kWh. 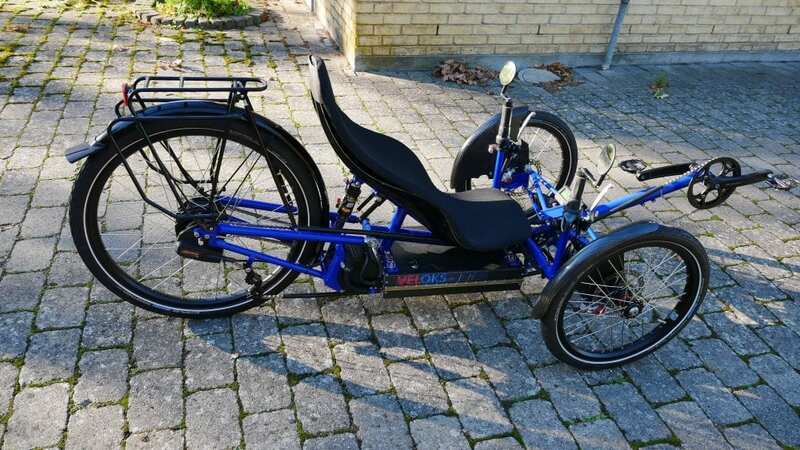 Mode: legal (max 250 w, 45 km/t assist).